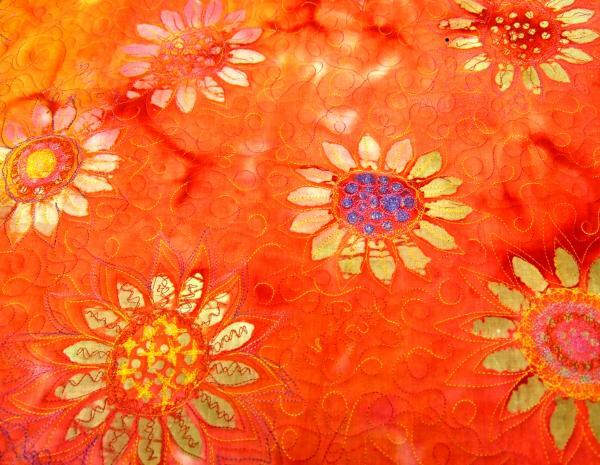 Photo of the thread painting on orange batik printed fabric. I stitched for hours and hours with many different colors of threads including some variegated threads. I named the quilt “Fun at the End of the Day” ! Brought back memories of coloring — but not staying inside the lines…. Photo of the Bright Dye Candy Easy to Sew Quilt. 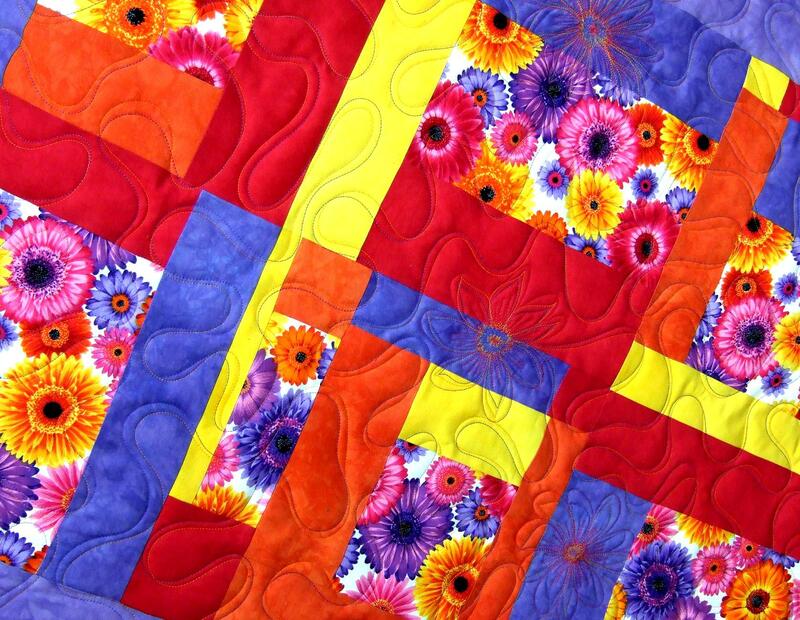 The freestyle quilting is a two color ribbon quilting with whimsical daisy flowers. Photo of the Log Cabin Free For All Quilt. It uses a 1 inch half square triangle (a cutaway unit) as the block centers. Machine Pieced by Linda Halpin. www.lindahalpin.com. Custom Free Style Quilted by Marcia Wachuta (me). The Barn Raising Log Cabin Quilt — Linda made this quilt to use some of her cutaway units as the centers of the log cabin blocks. Machine Pieced by Linda Halpin. Beautifully machine quilted by Penny Gerds. Custom Free Style Quilting by Marcia Wachuta (me). 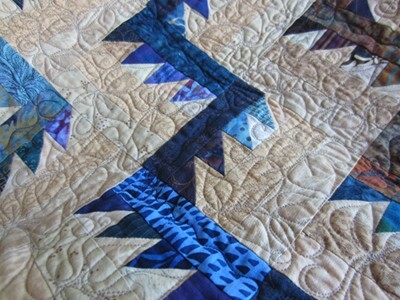 This quilt was featured in Quiltmaker Magazine.